What Is My Cardio Advisor? Why should you use MCA? Remote monitoring and self management, we cover it all! If a person’s heart rate jumps to 120 beats per minute in a short time, could we make a conclusion what is happening with that person by knowing just that information? No, we couldn’t! We just know one piece of a puzzle, but we need all other pieces to see a big picture. Lets make another example, If there is a young person, who has just started running and his heart rate jumped to 120 beats per minute, everything is in order. But if it is an older person, a cardiac patient who is resting and who forgot to take important medicament, the situation demands attention. There are two parts of the system a mobile app, used by monitored person (a patient or someone who is engaged in fitness activities) and an admin portal, used by an expert who is doing all the monitoring (a medical doctor, a professional caregiver or a personal fitness trainer). The mobile end collects and processes all the data, not just physiological data like ECG, heart rate, respiration rate, blood pressure and etc. but also context data like type of activity a person is engaged in, his whereabouts, the environmental conditions and self reporting, all in real time. But even the real time data is not enough to provide us with right context of a person being monitored. We also need to remember what happened previously, to trace the causes of current condition. This is the reason why we store all the relevant data from the past and we can know weather for instance that person followed his prescribed therapy in a right way or not. The other end is an admin portal where professionals can monitor and guide. They can prescribe a therapy or desired behavior and set up all kinds of alarms like pill reminders or just remind their patients they need to do blood pressure or glucose check.  Doctors or professional caregivers could know how their patients are doing, are they well in the boundaries of their therapy or risk-free behavior or not and offer them some recommendations and react just in the right time before something bad happens. Fitness trainers could know are their customers following the weight loss program thy prescribed and if not offer them some recommendations for correction and improvement. MCA creates value for your business and your customers, it’s a win-win! Are you a medical clinic manager? Or you own a small single-doctor practice? Or you work in a big wellness center? Maybe you are a professional caregiver? Or you just wish to care for loving family member? If the answer on any given question is YES then MCA is the right solution for you! Personalize the care and manage it remotely! Remote patient monitoring – MCA is ideal for cases where personalized remote monitoring helps recovery or managing chronic illness, where guidance from a professional could drastically reduce incidents and time spent in hospitals. It also offers valuable insight about patient’s recovering process and professionals are then able to personalize the treatment. Long term care – Since life expectancy and average life span is increasing long term care of elderly becomes very important. MCA is perfectly fit to tackle with this important issue. Both professional caregives and caring families can use MCA to care for their loving elders remotely and be there on time when they need help.  We can not stress enough how huge, positive impact MCA would have for both caregivers and caretakers alike. Fitness and well-being – Personalization of a training is very important and most efficient way for achieving best results. If professional trainer is able to monitor the customers, set alarms to alert him/her if they are doing something wrong and offer them some recommendations how to improve their training, then personalization can reach higher levels. MCA is capable of managing this process with ease. Self management – If you wish to monitor yourself and have some help with managing chronic illness, therapy or fitness training, MCA is perfectly suitable for your case too.  We are a company with a huge international experience in a cutting edge research and development of novel technologies, application and advanced IT solutions for boosting innovations in dynamic and networked business environments. One of our main assets is our huge social network, that help us in gathering new ideas/experiences and expanding our partner and customer base. We like to challenge status quo and develop new, disruptive technologies which improve your business efficiency and ensures it’s competitiveness. We are active in the domains of a big data management, complex mobile processing, remote monitoring and sensor data processing. Besides MCA, the personalized remote monitoring solution, we offer the solution for a big data management in the form of Data Diagnostic Laboratory and the solution for fitness in the form of Smart4Fit. If you want to learn more about MCA, please contact us!